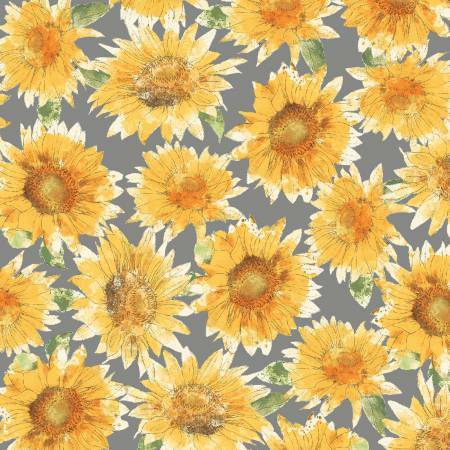 Grey with allover yellow sunflowers. From the Bee My Sunshine collection by Whistler Studios for Windham Fabrics. 100% cotton. 44"-45" wide.